Apex Legends quickly rocketed to the top of the charts, amassing more than 50 million registered users in its first month of availability. But some new expert analysis suggests Respawn’s free-to-play battle royale may be hitting a wall, with its growth limited by relatively high system requirements. DFC Intelligence has looked at Apex Legends’ performance over the past month, and its forecast for the game draws on similar comparisons it did last year on Fortnite and PlayerUnknown’s Battlegrounds. While DFC finds Apex Legends’ initial player haul impressive, the report notes that the game has barely registered with younger players aged six to 16. Among players ten years old and above, Fortnite is still comfortably the top game. 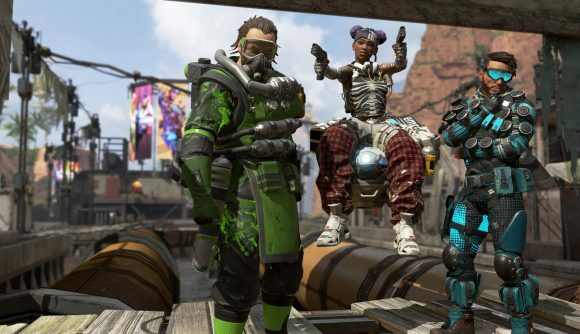 The report speculates that one limiting factor for Apex Legends is use of Respawn’s traditional first-person shooter model. Fortnite, the report says, was helped by being perceived as a more accessible experience for people who don’t normally play FPS games – a fact that contributed to its eventual overtake of PUBG. But another thing PUBG and Apex Legends have is higher system requirements (you can check out the Apex Legends system requirements on our sister site, the Systems Requirements Lab). According to DFC’s data, 64% of PC users have hardware that meets Fortnite’s minimum system requirements. Only 47% of users passed Apex Legends’ system test, and only 29% passed PUBG’s. DFC has concerns on that front as well. Fair enough – Apex Legends’ battle pass is a bit pricey for what it provides, and the game’s cosmetics leave a bit to be desired. But even if the game’s growth is slowing down, the numbers it’s already achieved, both in terms of players and revenues, are nothing short of impressive. Hopefully it has many years of bouncy, team-based shooting ahead.